Nine months after announcing ‘Operation Green’ to provide the rightful price to farmer producers, the Union government has prepared guidelines to implement the operation. The scheme was devised to contain the annual price distress of tomatoes, onion and potatoes in regions with high production. The Expenditure Finance Committee approved the proposal with some suggestions on how to pool funds. With an allocation Rs 500 crore by the Centre, the deadline of the scheme is March 2020. The Union Ministry of Food Processing and Industries has prepared the guidelines. The operation was announced by the Union Finance minister Arun Jaitley on February 1, 2018 in the budget speech and claimed that the operation will provide support to horticulture crop growers. During campaigns for the upcoming Karnataka election, Prime Minster Narendra Modi also boasted about TOP growers as priority. Earlier the Prime Minister's Office had constituted a committee chaired by Ramesh Chand, member of NITI Aayog to submit a detailed report on how to roll out the scheme to help TOP farmers. 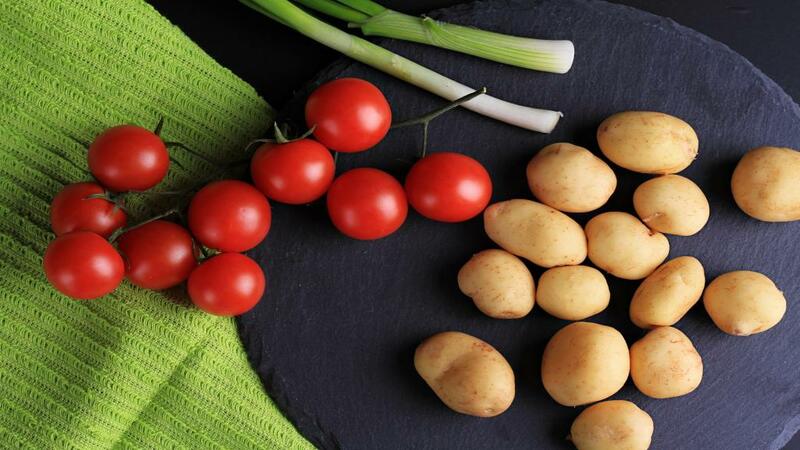 Although tomatoes, onions and potatoes are consumed throughout the year across the entire country, farmers and consumers have incurred losses due to a lack of storage and transport facilities. This scheme aims to transport the vegetables from a surplus region to deficit region of production and also create infrastructures to increase storage processing capacity to increase shelf life. The government also decided to create value chains and processing industries in selected surplus region. NITI Aayog recommended that the government should begin on a pilot basis in clusters where productions are higher. The Operation Green has short term and long term components. The budget for short term component allocated Rs 50 crore. Under this budget, government will share 50 per cent cost with the National Agricultural Cooperative Marketing Federation of India (NAFED) for transportation and storage facility of TOP produces. This means that if the rate of supplying onion is Rs 3/kg from Nasik to Delhi, the Centre will share Rs 1.5/kg. Currently NAFED supplies around 15,000 tonne of onion from Nasik to Delhi. After using this fund, it can supply up to 0.25 million tonne of onion. The long term budget, Rs 450 crore, is meant to develop value chain, cold storage, packaging, sorting, grading and processing industries. The top producing clusters are chosen keeping in mind value chain and processing industries. 17 clusters have been chosen in eight states. Some from Madhya Pradesh have dropped from Madhya Pradesh in view of the upcoming assembly election. Farmers group like Farmer Producer Organizations, Farmers Federation, state undertakings or private players will benefit from this scheme as they will get 50 per cent of the total but up to Rs 50 crore. “The government will provide 50 per cent value of total project cost, which either would be setting up of processing industries, cold storage or others,” says a senior official close to the development on the condition of anonymity. The committee suggested extra funds can be pooled in from similar schemes like SAMPADA, an umbrella scheme incorporating ongoing schemes (Mega Food Parks, Integrated Cold Chain and Value Addition Infrastructure, Food Safety and Quality Assurance Infrastructure, etc) and also new schemes like Infrastructure for Agro-processing Clusters, Creation of Backward and Forward Linkages, Creation / Expansion of Food Processing & Preservation Capacities.